At www.spraygunrepair.com. Paul heads our R&D department and is also our east coast representative. 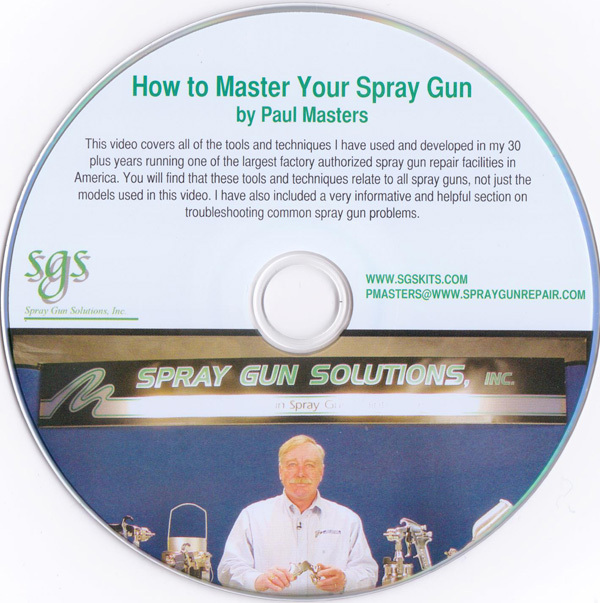 Paul has over 35 years experience in spray gun repair and owns one of the largest spray gun repair centers in America. Paul is also an authorized warranty repair station for all of the major brand spray guns ie:Binks,DeVilbiss,Graco,Sharpe,Sata and others.Paul offers superior service and fast turn around on your repairs. Call Paul TOLL FREE @ 1-888-582-1095 or fax 1-860-963-7715 for free estimates. Paul also sells all makes of new & rebuilt spray guns at GREAT SAVINGS!! !